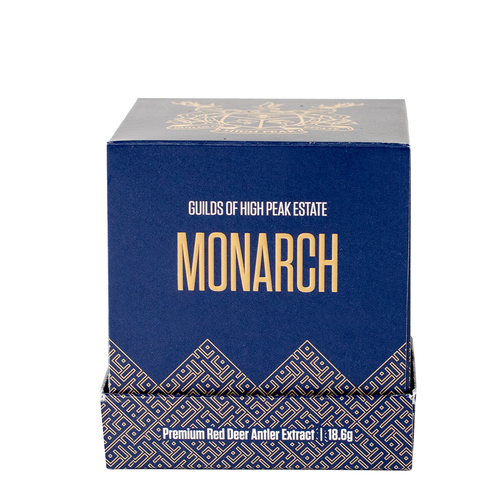 High Peak Estate's Premium Red Deer Antler Extract is a 100% natural health supplement prized by Oriental physicians for over 2000 years as a healer, restorer and tonic to maintain wellbeing, strengthen immunity, increase vitality and promote blood-flow. Ingredients: 100% Premium Red Deer Antler Extract (Powdered Form). High Peak Estate's Premium Red Deer Antler Extract is a 100% natural health supplement prized by Oriental physicians for over 2000 years as a healer, restorer and tonic to maintain wellbeing, strengthen immunity, increase vitality and promote blood-flow. Ingredients: 100% Premium Red Deer Antler Extract (Powdered Form).